Russia, first half of the XVIIIth century. The chronological frames of the collection embrace the time from the Late Middle Ages to nowadays. 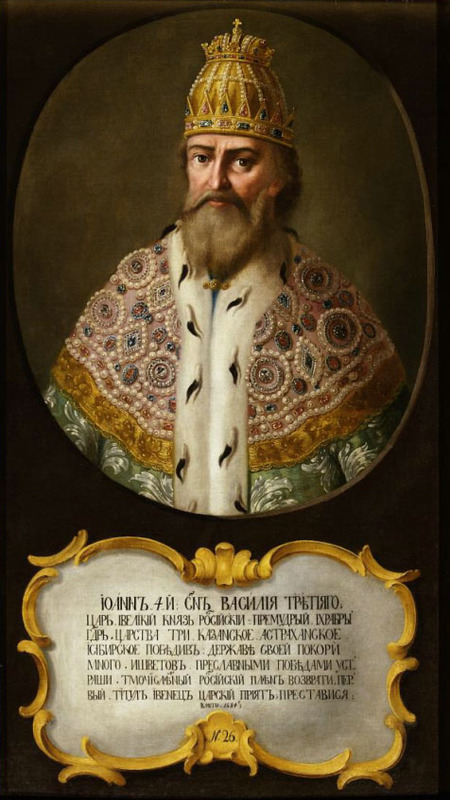 The monuments from the Kremlin’s cathedrals and monasteries with church scenes, such as portraits of the hierarchs of the Russian Orthodox Church, give the idea of the variety of genres and geographic areas represented in the collection. 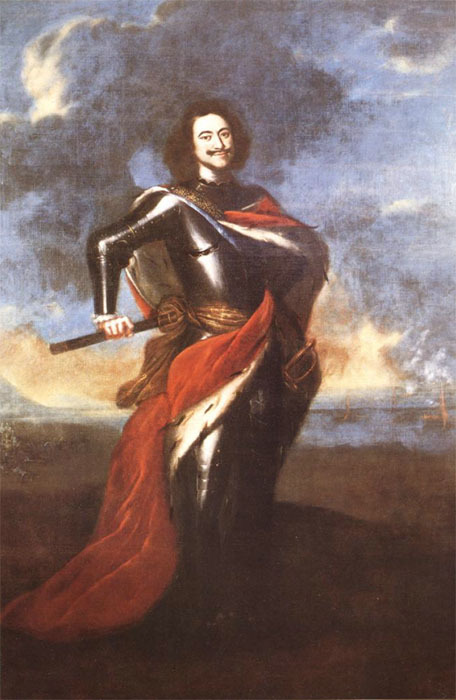 The museum funds include paintings by Dutch, German, French artists of the XVIIth - XXth centuries that replenished the collection in the Soviet period. At that time the collection was also completed with battle scenes demostrating episodes from the military history of our country, as well as architectural landscapes by F.Y. Alexeev, M.N. Vorobyov and N.I. Podklyuchnikov, which present the look of the Kremlin in the XIXth century. Paintings of historical scenes are an interesting part of the collection. 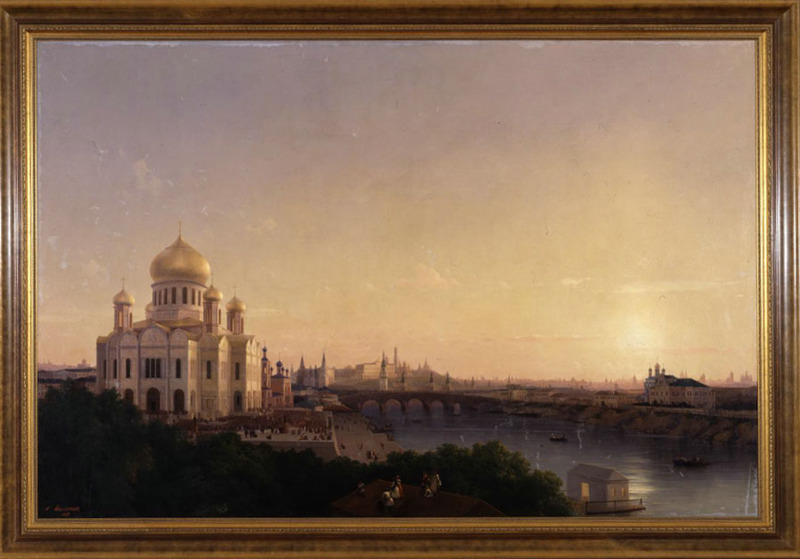 Two depictions of the Kremlin of the mid XIXth century painted by I.K. Aivazovsky to commemorate the Napoleon’s invasion - “The 1812 fire in Moscow” and “The Kremlin’s panorama with a view to the Cathedral of Christ the Saviour” - belong to the greatest creations of this kind. 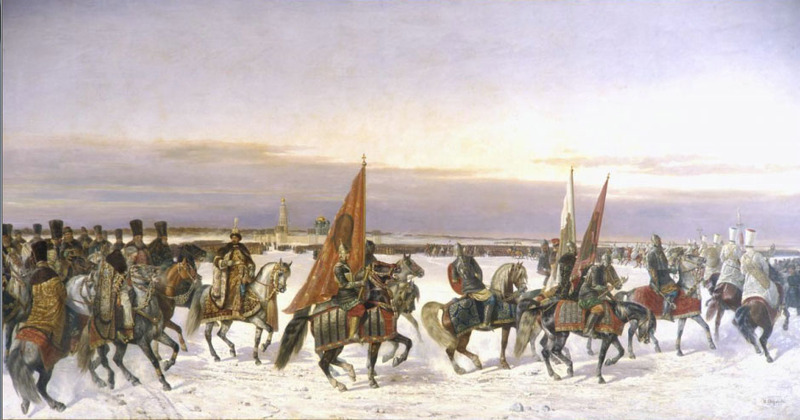 The series of six monumental canvases glorifying the deeds of Saint Prince Alexander Nevsky is a valuable monument of the Russian culture of the XIX century. It was created by artist F.A. 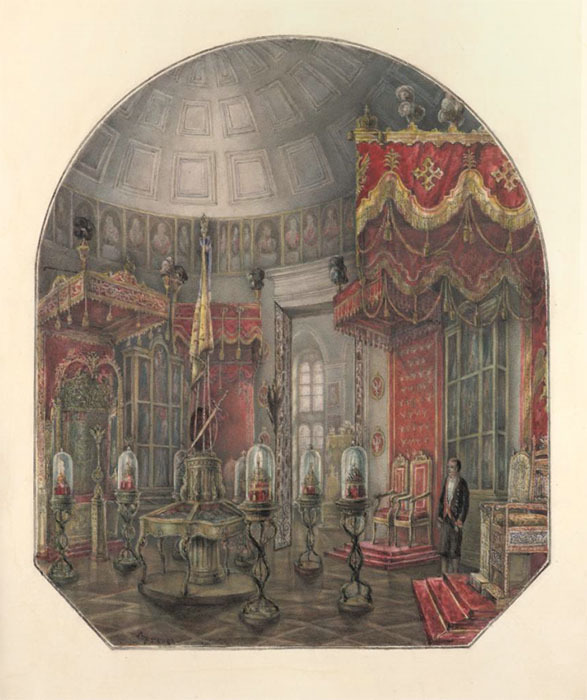 Moller for the Alexander Hall of the Grand Kremlin Palace by the order of Emperor Alexander II. 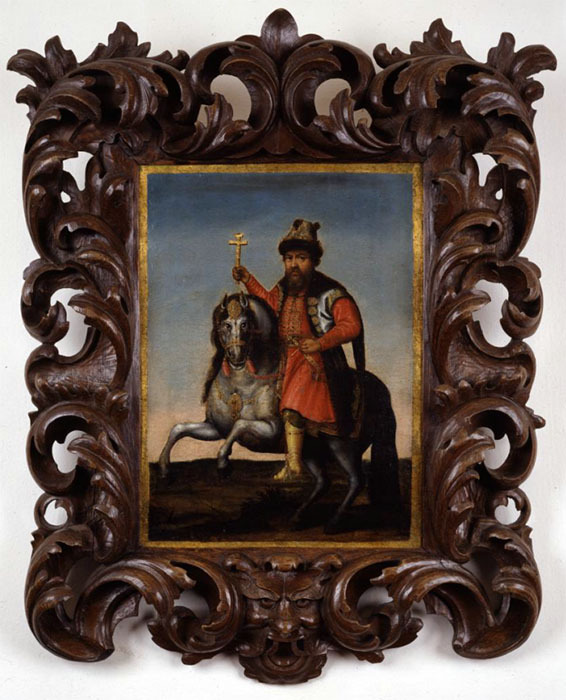 The key items of the collection are paintings that adorned the halls of the Armoury Chamber in the XIXth - early XXth centuries. The most significance in forming the idea of the Armoury Chamber’s display before the Revolution of 1917 belongs to images of Russian Princes, Tsars and Emperors, who embodied the history of the national statehood. 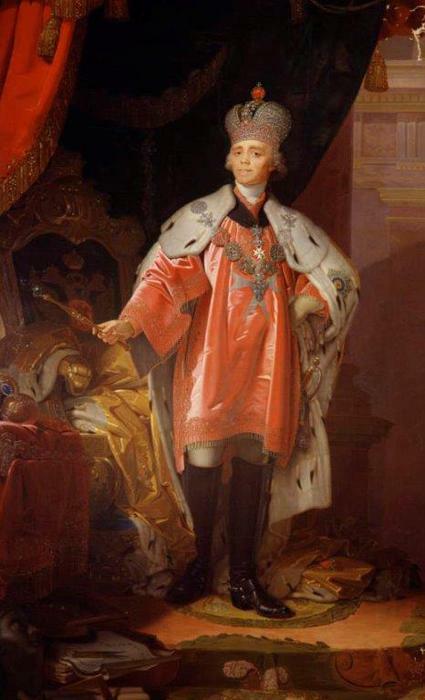 This is the reason behind portraits of Russian rulers forming the major part of the paintings collection. 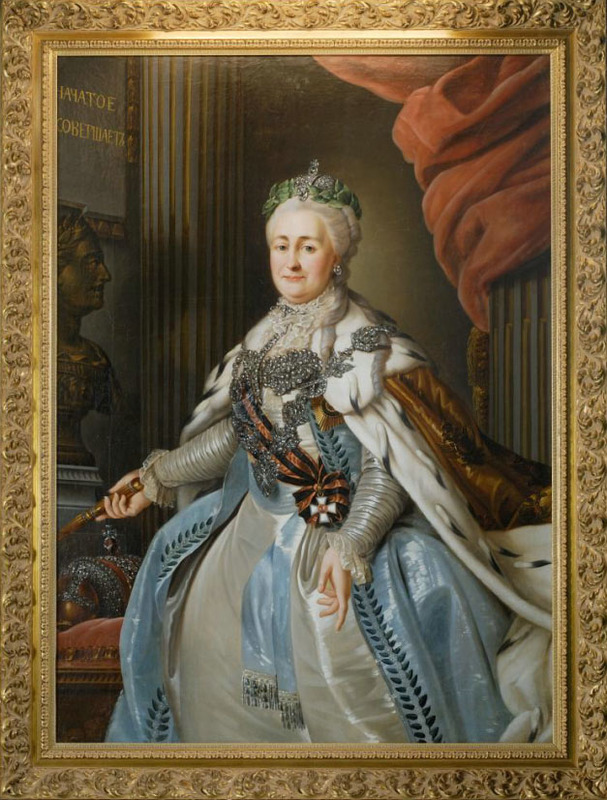 High artistic values of “The portrait of Emperor Peter I” by J.G.Tannauer, and “The portrait of Catherine I” painted by an unknown artist, deserve a special note among the copies, painted from originals by great masters of the XVIIIth - XIXth centuries. 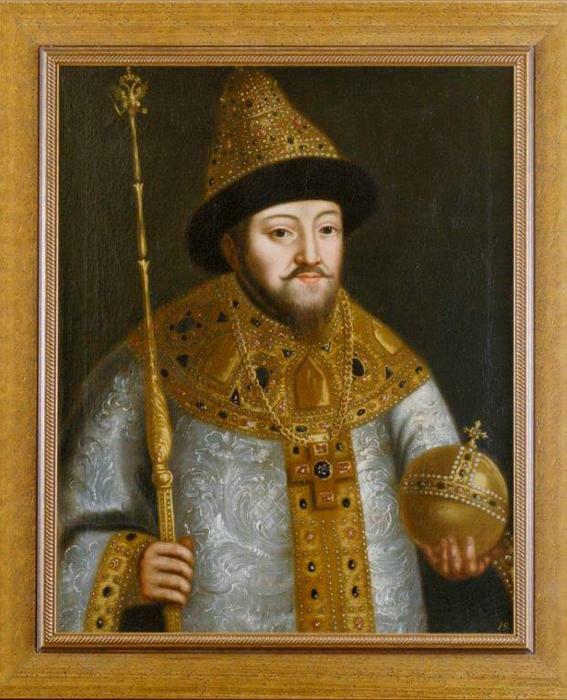 This section of the collection presents the main line of the development and existence of ceremonial representative portraits in the Russian culture of the XVIIIth - XIXth centuries.